as seen from the road outside our Estate. 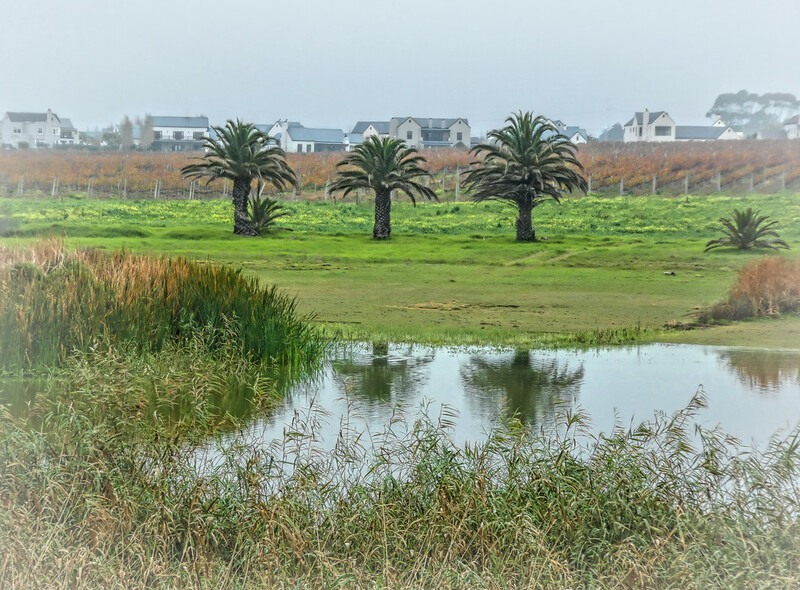 The vineyards which surround us, belong to Meerlust Wine Estate. On the other side of this little dam is the big one which I posted a few days ago. Great reflections of those beautiful Palms. If it wasn't for the palms, this could look like a grey UK ! I just love these Palm trees. Nice reflections. Love this, and the little one on the right! !